Several months after being announced, Y-E Data’s YD-300 WUSB hub is finally on sale in Japan  for ¥39,800, or almost $350. If that seems like a lot for a four-port USB hub, that’s because it is. 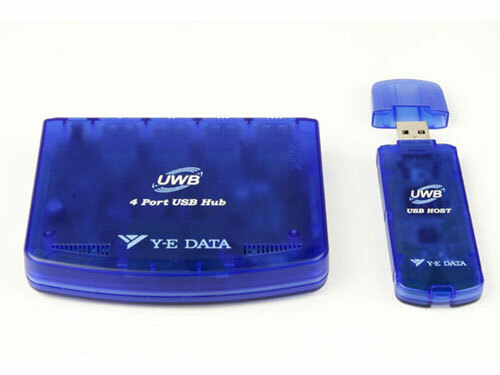 Also, it’s not technically complaint with ‘official’ WUSB, so Y-E Data has to call it an Ultra-Wideband Wireless Hub (UWB), but that won’t stop Japan’s computer nerds lapping it up. The technology promises wireless USB transfers between anything connected to the hub and a dongle that plugs into a PC over up to 10m. Speeds are similar to those from regular, wired USB 2.0 connections (480Mbps), so the attraction is in clearing up a little cable clutter. That and being first on the block to use yet another new wireless technology of course.